With the world of health focused squarely as of late on keeping our bodies in peak physical condition, there’s little being said on brain health. But let’s face it, we don’t wake up every morning to build houses or fight fires. So while getting in your daily workout is important for overall health, it probably isn’t going to directly correlate to career success; and anyone with a career in finance knows that optimal brain function is a commodity in our field. 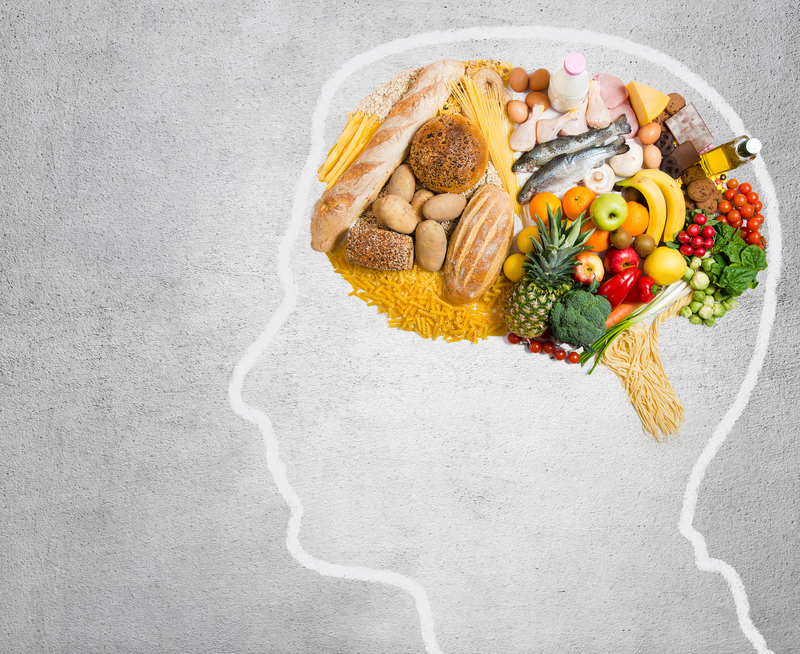 Researchers are beginning to discover that not only can you use mental exercises to train your brain for peak health, but you can feed it foods that will improve its fitness and function as well. So while you pack your lunch (or order in) this week, consider including these 10 brain enhancing superfoods to improve short-term memory, boost attentiveness, and increase your problem solving abilities. Oily fish such as salmon and sardines contain high levels of Omega-3 fatty acid DHA, which has a direct correlation with improving both short- and long-term memory. Not huge on fish? DHA is also found in shrimp, mussels, and other shellfish. Tomatoes contain the antioxidant lycopene, which has been found to combat brain-cell-damaging free radicals. Stopping this kind of damage in its tracks results in more robust brain performance, improving memory, attention span, problem solving, logic skills and concentration. The good news is that if you aren’t big on salads, lycopene is actually found in higher doses in things like tomato paste — just one more way to justify a pasta indulgence. Compounds in blueberries called polyphenols help improve short-term memory and concentration, while also delaying the onset of conditions such as dementia and Alzheimer’s. They also contain flavonoids, which improve memory. Can’t get your hands on blueberries? Strawberries pack a similar punch when it comes to brain-healthy nutrition. Broccoli is crammed with the brain-enhancing vitamin K, which has been found to reduce your chances of developing age-related dementia while other compounds in the cruciferous vegetable promote brain healing following trauma or illness. Pumpkin seeds are high in zinc, which boosts memory, problem-solving skills, and mental speed. They also contain niacin, which serves to enhance GABA activity in the brain and lowers anxiety — a welcome side effect when you have a high powered career. Aside from containing brain-feeding carbohydrates that are linked to overall brain performance, whole grains such as fireek and oats contain choline, which enhances the body’s ability to produce acetylcholine, a neurotransmitter that improves memory. A sprinkle of those anxiety-fighting pumpkin seeds over a bowl of morning oats is a sure-fire way to get your brain ready for a day at work. Multiple studies have found that just a handful of walnuts per day will improve memory function, cognitive abilities, concentration and reasoning skills. Walnuts also contain vitamin E, which helps ward off mental decline in the elderly. The coffee addicts among us are well versed in the fact that it boosts concentrate and focus, but coffee’s antioxidant properties also help brain health. Flavonoids in coffee are particularly effective at increasing blood flow, which means more oxygen circulation to the brain and better cognitive abilities. Not a coffee drinker? Dark chocolate also contains the caffeine and antioxidant boost your brain craves. Spinach is high in lutein, an antioxidant that improves neurocognitive function, particularly later in life. Studies show that spinach consumption is actually linked to better performance on tests conducted to evaluate memory and learning ability. Beets are high in nitrates, which serve to increase blood flow to the brain, contributing to better memory, sharper reasoning skills, improved attention span and increased concentration. They also contains folate, which prevents nerve fibers from becoming “tangled” — a condition that has also been associated with Alzheimer’s disease. Not into beets? Blend them up into a smoothie and throw in a handful of spinach, blueberries, and walnuts for the ultimate brain-enhancing breakfast!